Thalgo Collagen Anti-Aging Gift Set. Designed for anyone ages 25+ who wants to smooth fine lines and moisturize the skin. 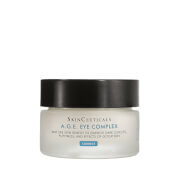 This rich cream prolongs and preserves youthful-looking skin. Skin is hydrated and regenerated; fine lines and first wrinkles are noticeably smoothed. Flowery, suave scent: a bouquet of fresh and powdery flowers. Activates the synthesis of collagen to smooth fine lines and plump the skin. By fighting against the first signs of aging, this serum, with Native Marine Collagen, prolongs and preserves youthful-looking skin. A translucent gel with a flowery, suave sent, a bouquet of fresh and powdery flowers. 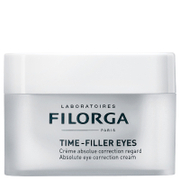 Reduces puffiness and dark circles. 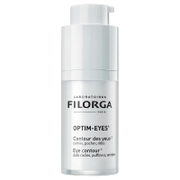 Concentrated in Marine Collagen, it smooths fine lines and wrinkles, and instantly awakens and brightens the eyes. A fresh gel with a fresh, powdery floral scent that relaxes the eyes. Cream: Apply morning and evening on the face and neck. Combine several times a year with a Collagen Concentrate treatment. For best results, use Thalgo Foaming Marine Cleanser to clean the skin. Serum: Apply morning and evening with light strokes on the face and neck before Thalgo Collagen Cream or Thalgo Hyaluronic Cream. Use as an intensive one-month treatment and renew several times a year. Eye Roll-On: Apply morning and/or evening from the inner corner of the eye to the outer corner, and then from the temple to the brow bone. For a greater decongesting effect, use tapping movements and store the Roll-On in the refrigerator. Cream: Aqua (Water), Cetearyl Alcohol, Butylene Glycol, Cetearyl Ethylhexanoate, Ethylhexyl Stearate, Caprylic / Capric Triglyceride, Cetearyl Glucoside, Soluble Collagen, Phenoxyethanol, Parfum (Fragrance), Chlorphenesin, Polyacrylate-13, Ethylhexylglycerin, Polyisobutene, Benzoic Acid, Hydrolyzed Soybean Fiber, Dehydroacetic Acid, Sodium Hydroxide, Sorbitan Isostearate, Polysorbate 20, Sorbic Acid, CI 17200 (Red 33), Benzyl Salicylate, Hydroxylsohexyl 3-Cyclohexene Carboxalclehyde, Alpha-lsomethyl lonone, Citronellol, Eugenol. Serum: Aqua (Water), Glycereth-26, Butylene Glycol, Sodium Polyacrylate, Glycerin, Hydrolyzed Collagen, Phenoxyethanol, PPG-26-Buteth-26, Palmaria Palmata Extract, PEG-40 Hydrogenated Castor Oil, Parfum (Fragrance), Chlorphenesin, Ethylhexylglycerin, Hydrolyzed Soybean Fiber, Biosaccharide Gum-1, Citric Acid, Aloe Barbadensis Leaf Juice, Soluble Collagen, Sodium Benzoate, Benzoic Acid, Sorbic Acid, Potassium Sorbate, Benzyl Salicylate, Hydroxylsohexyl 3-Cyclohexene Carboxaldehyde, Alpha-lsomethyl lonone, Citronellol, Eugenol. Eye Roll-On: Aqua (Water), Glycereth-26, Glycerin, Propanediol, Hydroxyethyl Urea, Sodium Polyacrylate, PPG-26-Buteth-26, Phenoxyethanol, Caffeine, Saccharomyces Cerevisiae Extract, Sodium Hyaluronate, Aloe Barbadensis Leaf Juice, Soluble Collagen, PEG-40 Hydrogenated Castor Oil, Sodium Salicylate, Chlorphenesin, Parfum (Fragrance), Butylene Glycol, Xanthan Gum, Caprylyl Glycol, Ethylhexylglycerin, Acacia Senegal Gum, Propylene Glycol Alginate, Benzoic Acid, Sorbic Acid, Glucose, Chondrus Crispus (Carrageenan),Benzyl Salicylate, Hydroxyisohexyl 3-Cyclohexene Carboxaldehyde, Alpha-lsomethyl lonone, Citronella, Eugenol.